$2,125.00 set of 4 List: $3,396.00, You Save: $1,271.00! Designed for professional use, the Grand Series concert toms feature 6-ply oak shells and YESS II mounts. The YESS II improves over the original minimal-contact YESS mount by letting the tom nearly hang in the air for maximum possible resonance. The oak shells provide a naturally thick, warm tone that is only enhanced by the head. These shells are produced utilizing Yamaha's patented Air-Seal System - a process that ensures that shells start round and stay round for balanced tension on the head and a consistent tone. 1.6mm Triple-Flanged rims make the drums easy to tune and help focus the low end of the sound. 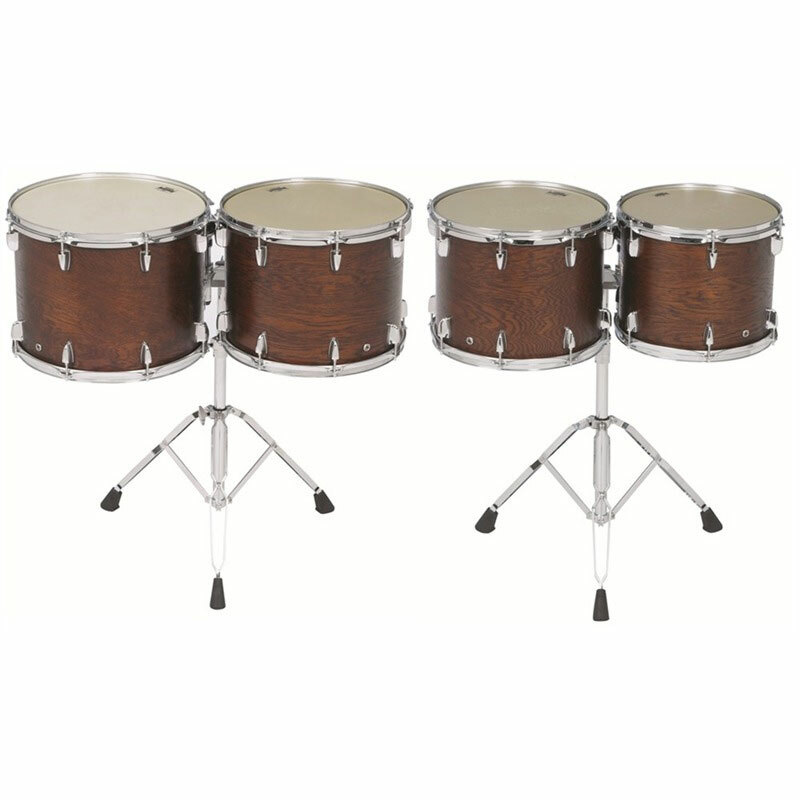 Each tom also features a Darkwood Stain that looks good no matter what stage you're on.